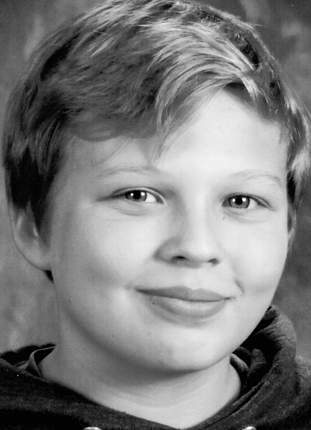 L’ANSE — Jacob Dixon, 14, a resident of L’Anse, passed away unexpectedly on Saturday, August 11, 2018, while on vacation with his father in California. He was born on July 17, 2004, in Laurium, to Ryan Dixon and Tammy Thyrion. He was entering his freshman year at Houghton High School. He was a member of the Houghton Band, playing the trombone. Jacob loved skiing, snowboarding, video games, traveling with his family and swimming in the ocean. He was a very kind boy, with a wonderful sense of humor, always joking around with his family and friends. He especially loved his sisters, and his dog, Rosco. He will be sadly missed by his father, Ryan Dixon of Harper Woods; his mother, Tammy Thyrion of L’Anse; his sisters, Katie and Willow; his paternal grandparents, Chris and Karen Dixon of Los Angeles, California; his maternal grandparents, Norbert and Leslie Thyrion of Houghton; and numerous aunts, uncles, cousins and friends. A funeral service will be held on Thursday, August 30, 2018, at 1 p.m., at the Erickson Crowley Peterson Funeral Home in Calumet with Pastor Glenn Schwanke to officiate. Visitation will be held on Thursday, August 30, 2018, from 11 a.m. to 1 p.m., at the Erickson Crowley Peterson Funeral Home in Calumet. Burial will be in the Calvary Cemetery in Ahmeek. Online condolences can be left for the family at ericksoncrowleypeterson.com.